Itching to start creating VR content? Google’s just launched a new app called Blocks that should make it easier, even if you’ve never done any programming or 3D modeling before. 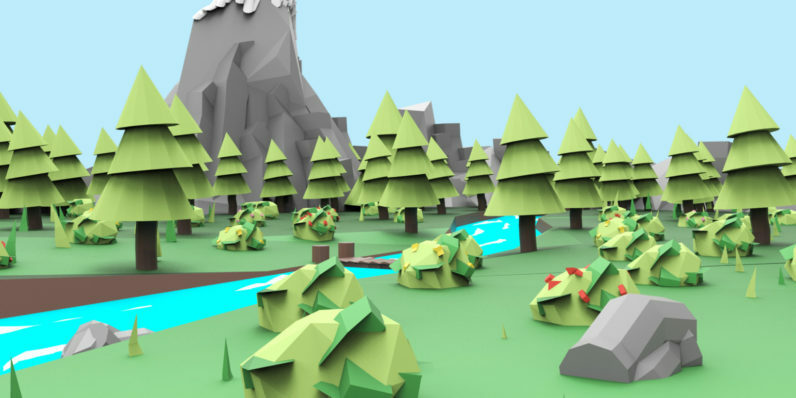 Blocks lets you use an HTC Vive or Oculus Rift to create low-poly 3D objects and scenes in a VR environment. Once your creation is ready, you can export it as a .obj file for use in VR and AR projects, or show it to the world as an animated GIF. Google says that Blocks’ intuitive tools make it far simpler to create 3D assets than working with traditional modeling software; it’s also set up a gallery where you can see other users’ work to get some inspiration. Interestingly, Blocks isn’t available on Google’s own Daydream platform that runs on high-end phones with a headset and handheld controller; that would certainly make the tool a bit more accessible. Google has previously launched Tilt Brush, a VR app that lets you paint in space. It’ll be interesting to see if the company goes further to create more ways to democratize the creation of VR content with tools like this. Grab Blocks for free on the Oculus Store and on Steam.